With a fresh layer of snow on the ground, it may be easy to forget that spring is just around the corner. Soon, it will be time to dust off the handlebars and pump up those tires. Biking is a great activity for “kids” of all ages. It is healthy and fun and can be done as an individual, with friends, or as a family. Whether you are having fun with the kids, sending them out to play on their own, fostering a competitive athlete, or simply commuting to work, safety must come first! Here are some tips to make your family’s life-on-wheels a safe and fun experience for all. 1) Infants riding along: Unfortunately, babies less than one-year-old do not have the motor skills and strength to support themselves on bumpy rides with helmets and are at high risk for serious injury in a crash. Wait to include your infant in this activity until 12 months and be sure your child is able to support a helmet and sit very well unassisted. After 12 months, we recommend tow carts instead of seats mounted on the bike. Helmets are a must. Be very careful where you ride while towing your child. Cars may not see the cart. 2) Toddlers: are encouraged to learn to use wheeled toys and tricycles or similar vehicles. This is the key age to teach good safety behavior. 3) Preschool: most children are able to learn to ride on two wheels between the ages of 4 and 7. Every child is different. 1) HELMETS: are a must! They decrease concussions, bleeding, and permanent damage to the brain, or worse. Don’t let your child go out unprotected. Wearing helmets should begin as soon as any wheeled vehicle is taken outside. Helmets are not interchangeable between sports. A bike helmet is specially designed to protect the front part of the head at higher speeds. The helmet should fit squarely on top of the head and cover most of the forehead. Straps must be properly secured. Hard and cloth covered helmets are both protective in a fall, but the cover must remain in place. Once a helmet has received an impact it must be discarded and replaced. 2) Bright clothing helps drivers see your children sooner. 3) Closed toe shoes are important to prevent serious injury to little feet. 4) Avoid loosely cuffed/wide leg pants. They are more likely to get caught in pedals or chain and cause falls or other injuries. 5) Children who are just learning to ride or are trick riders will benefit from knee/elbow/wrist protectors. 1) Although it may seem strange, riding with the traffic – as opposed to against it – is safest. Studies of bike accidents have proven this. 3) Young children should walk their bike across intersections. 4) Never allow children to ride at dusk or after dark. Not even with lights or reflective clothing. 5) Do not have your children ride bikes that are too big. This greatly increases the risk of falls, groin injuries, and other accidents. Hand-me-down bikes can be great and can be inspected at a bike shop to ensure they are still in good working order. 6) No headphones, Bluetooth, etc. while riding. Don’t text and ride. It is easiest to teach safety by setting a good example and creating firm rules right from the start. Just like car seats and seat belts, helmets and safe riding behavior is a must EVERY time. If you start from day 1, explain why they are important, and NEVER compromise, there will be far fewer battles between you and your child. Include your child when picking out their helmet. If they like it, they are more likely to wear it! Create a reward system for when your child remembers to wear the helmet without being reminded. Consistency and positive reinforcement are the keys. For help with helmet safety, you can contact the Safety STOP provided by St. Louis Children’s Hospital at 314-454-KIDS. They provide free helmet fittings and sell helmets at subsidized/reduced cost. 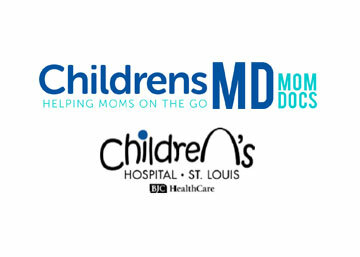 Frequent hours at the St. Louis Children’s Hospital, but other locations exist including Progress West HealthCare off Highway K in O’Fallon and the Magic House. 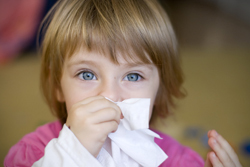 It's OK for your child to pick his nose. Really.